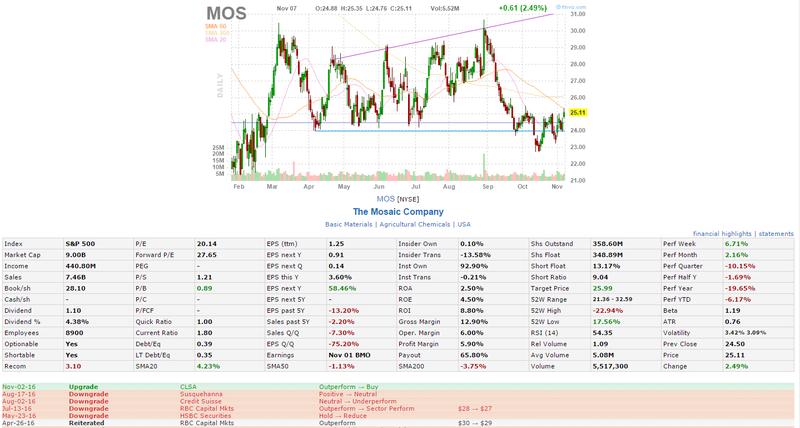 I have been keeping my eyes on the MOS stock chart from day to day. 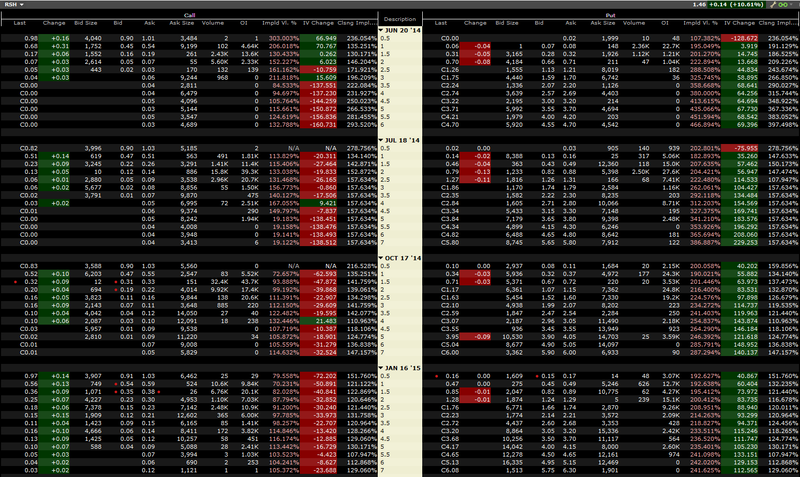 If you look at the daily chart you can see a very wide range from top to bottom. 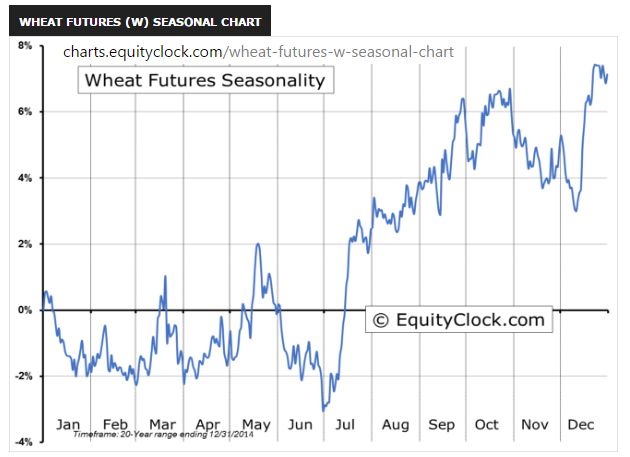 The buyers have held the support in the lower range, and I’m sure the recent positive Q316 earnings also helped it. The company has also been upgraded to Buy from CLSA. 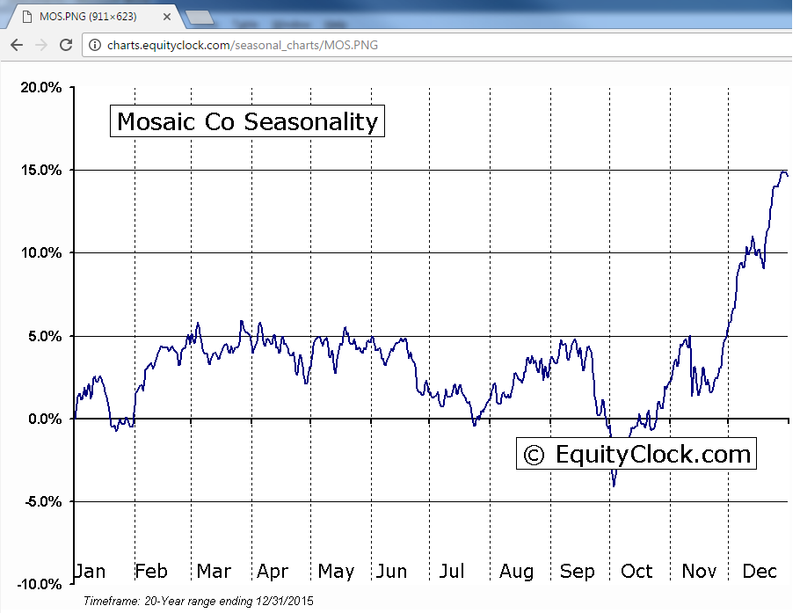 Now if you consider that the daily chart has proven good buyer support, and now take into consideration the MOS seasonal chart, you will see why I am looking to put on some bullish trades and investment in this company. 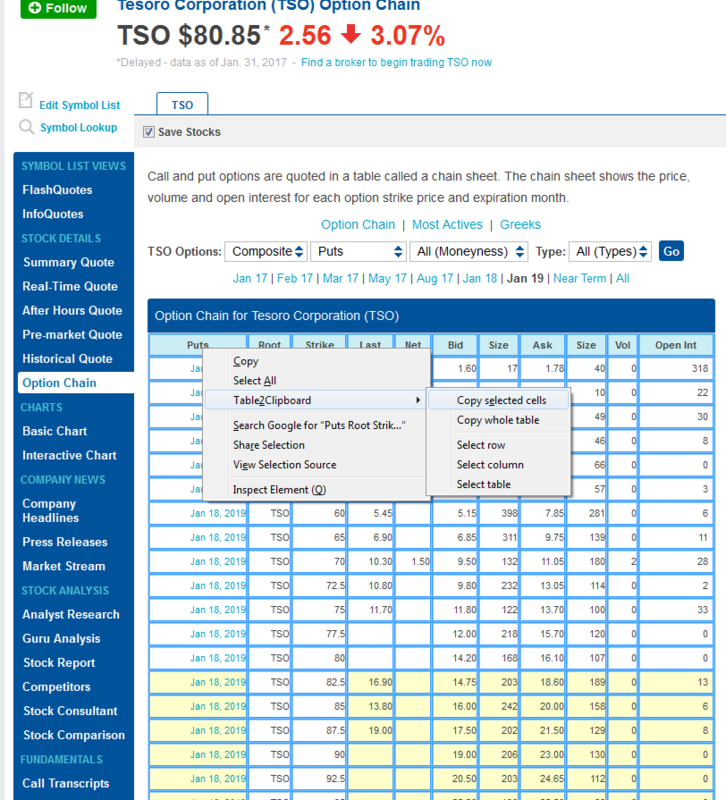 Also take note that the price to book value is nearly at par of the current stock price. Therefore I’m buying this company at an extremely fair and safe value. 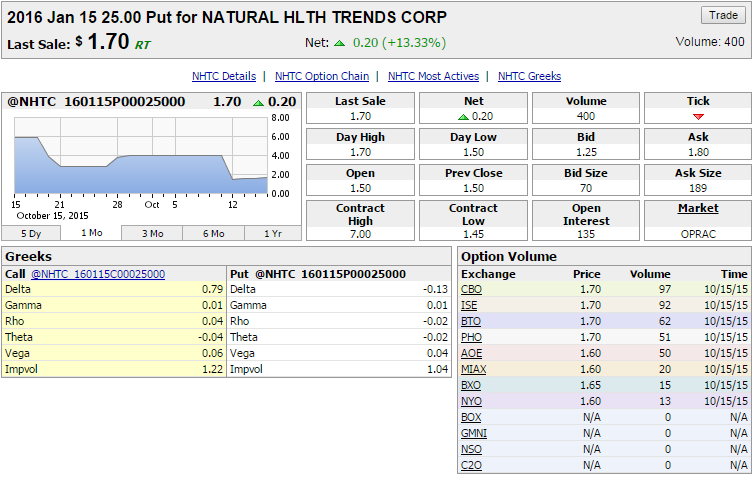 $NHTC options market – huge bearish bet or put credit spread? 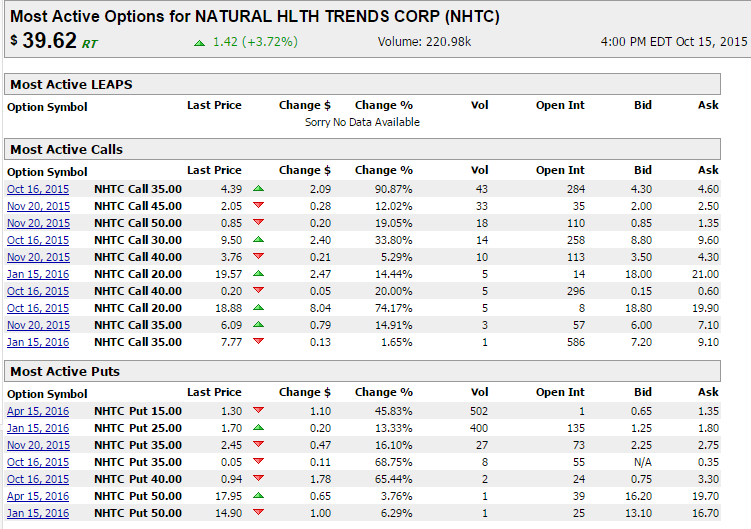 Today I reviewed the most active traded options in Natural Health Trends Corp. $NHTC on the NASDAQ, and came across a very interesting trade. 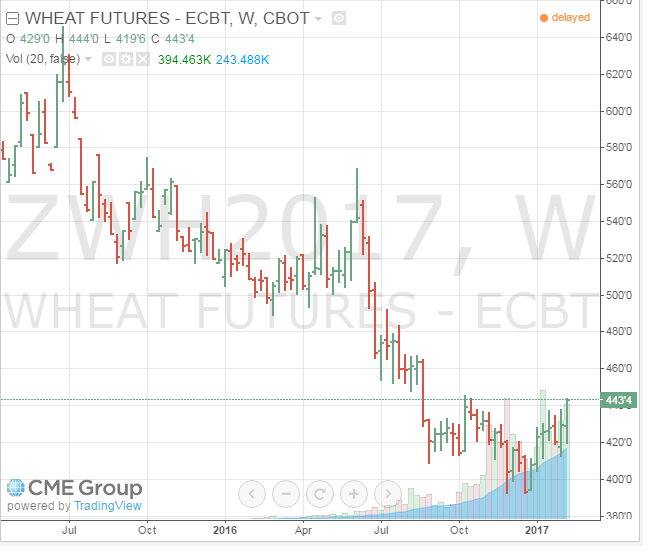 On Oct-15-2015 between 1:47 and 1:49PM CST the $NHTC Jan2016 $25.00 Put traded 400 contracts at ~$1.70, in contrast to an open interest of 135. 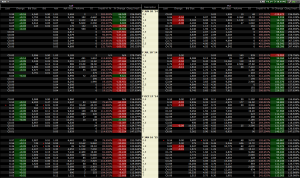 Just before this trade occurred, the bid/ask was $0.90 x $1.95 which makes the midpoint $1.43. 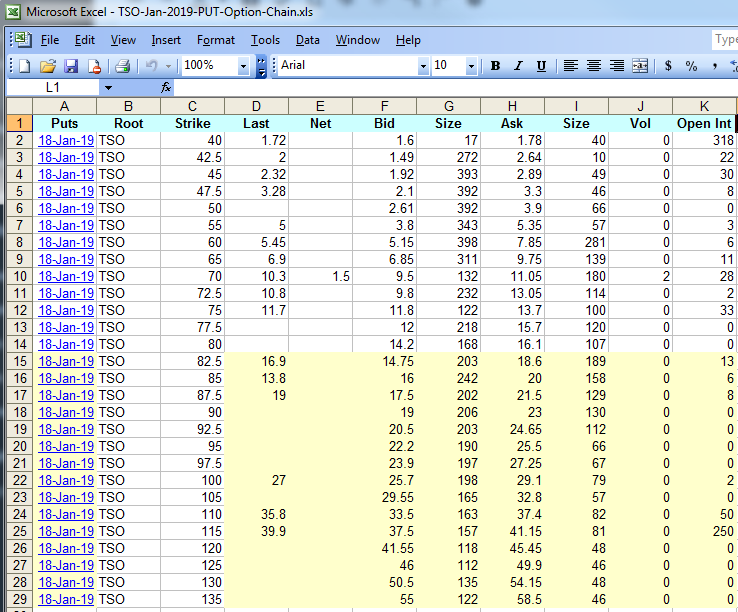 Total premium spent on this side of the trade is $67,095. 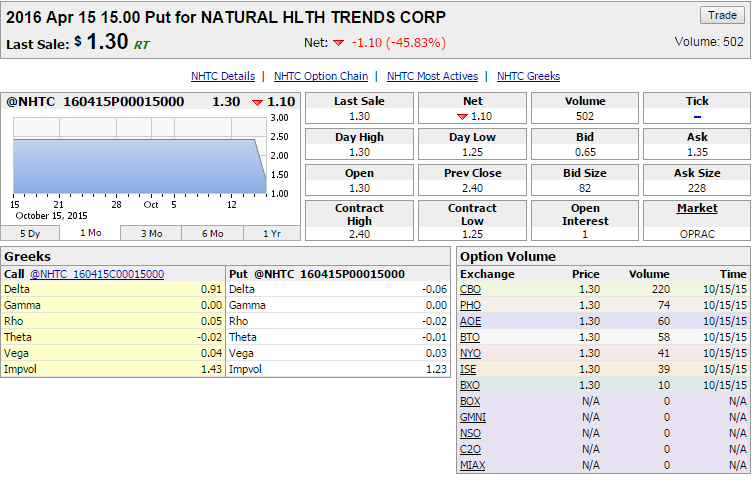 On Oct-15-2015 at 1:51PM CST the $NHTC Apr2016 $15.00 Put traded 502 contracts at the ask price of $1.30; the market was $0.65 x $1.35 just before the trade executed at $1.30. The open interest before the trade went through was only 1. This trade went through on the ask, so we can assume it was initiated by a buyer, not a seller. 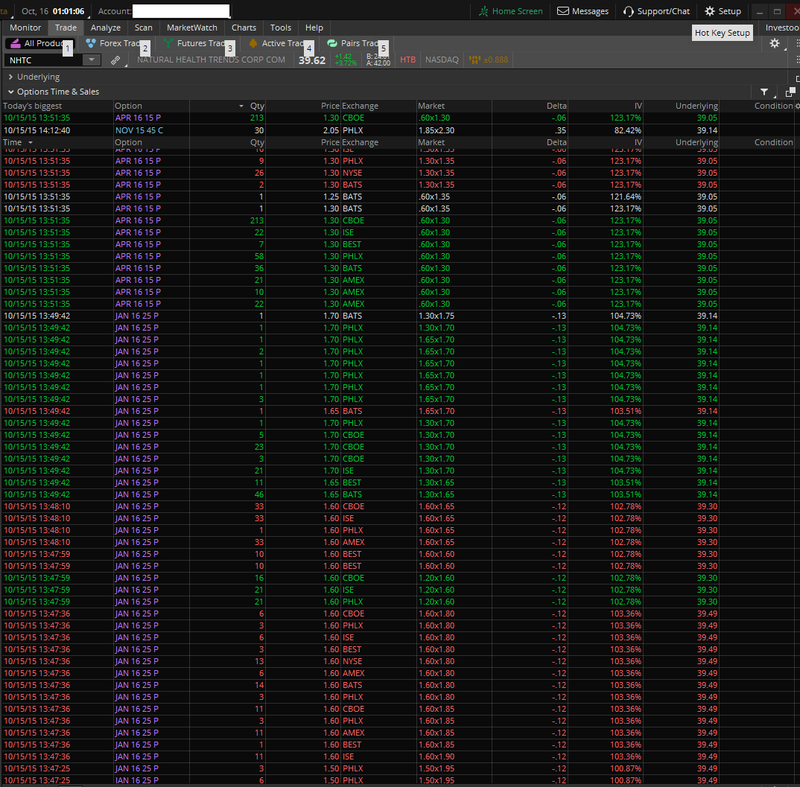 This side of the trade cost the trader $65,260 in option premium. Looking at the execution times and the near equal amount of option premium on the two trades, I am 99% sure these trades are linked and executed by the same trader. It is easy to see that the trader bought the Apr2016 $15 puts, so I’m leaning towards the direction that he shorted the Jan2016 $25 puts, making this a bull put credit spread. I’ve heard it said from Mark Sebastian to trade the hard side first – and usually it’s harder to sell a midpoint than buy the ask (see page 25 of Trading the ‘Hard Side’). HOWEVER, if in fact this trader actually bought the Jan2016 $25 puts long, and did not sell them for a credit spread, this would be an extremely bearish bet. 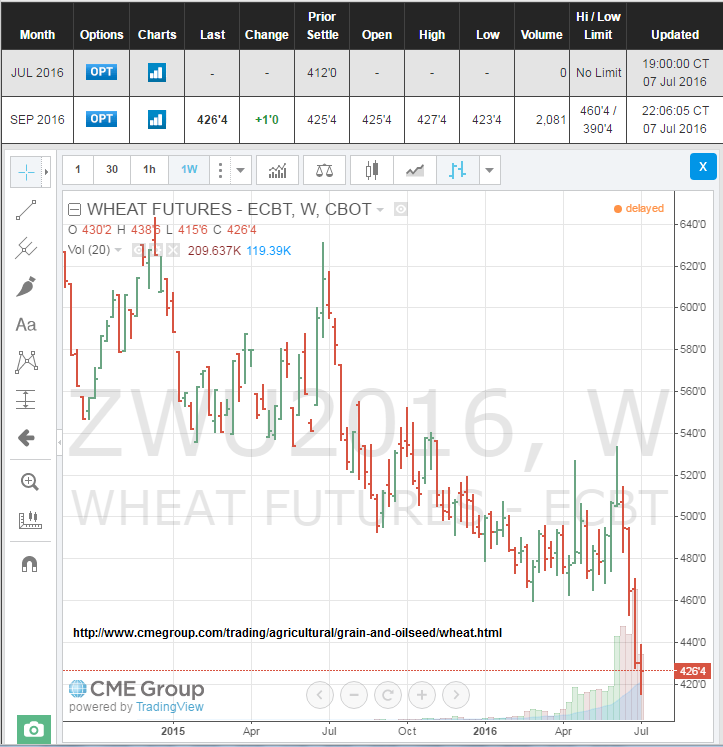 My question is, did the trader short the Jan2016 $25 puts, or did he buy them long? 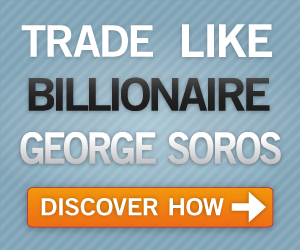 I am going to inquire from a few trusted and experienced option traders who are very familiar with this: @JoshMBelanger optionsizzle.com and Joe Kunkle @OptionsHawk. I invite you to comment and share your thoughts about this post. Thanks! I just offered out 2 contracts to test the waters in the RSH Jan 2015 $0.50 put for $0.17 on the offer, and got filled within 10 minutes… hmm.. interesting… but the risk/reward is extremely low! I mean, 0.50 minus 0.17 = $0.33 per 100 shares if the stock is put to me. So my max loss if the company went to zero would be $66 of real money. we will likely win on the fact that implied volatility will decrease gradually over the next few weeks and months so i’m pretty sure we’ll be able to manage a winning trade in the not too distant future.